Welcome to the Industrial Web! This wiki was created by colleagues in the industrial marketplace who saw a need for information and education about topics in their areas of expertise. Very few resources exist for content, companies, and references for services and products where people knowledgeable about industrial topics could contribute on a regular basis. This wiki will help people new to the industrial and commercial marketplace, marketers, sales reps, engineers, buyers, and specifiers learn more about the market and its related terminology. It is also a resource for people looking for companies or references. The purpose of Wiki is to help people looking for industrial products or services understand more about the marketplace. Users can ask a question while other, more knowledgeable users answer them. The main feature that separates Wiki sites from other encyclopedia-type sites is that the users are able to contribute to any article on a Wiki, such as adding or improving information, or to build up a community where anyone is free to edit. The Industrial Web’s ultimate goal is to create an online community that is focused on the industrial marketplace. It is a place where engineers and consumers can meet in the middle and share knowledge and create a free encyclopedia for all to share, learn form and contribute to. We seek to create a reliable resource for industry topics and provide a central hub for communication and information sharing. We encourage you to create an account and add information or send us your thoughts and ideas through our contact form. Once edits have been approved, your content will go live right away. 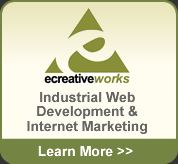 The Industrial Web relies on your help to succeed and grow. Contribute today!